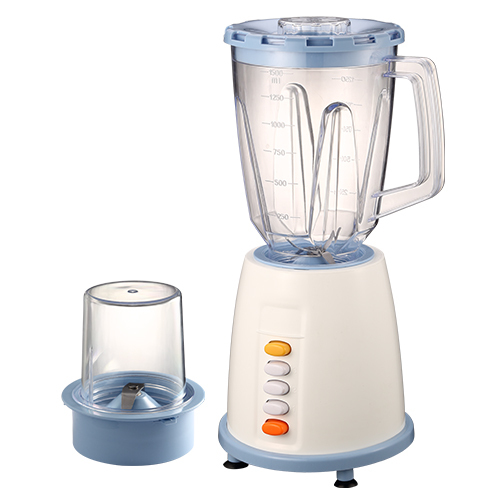 YX-777 1.5L Plastic Jar Food Blenders with grinder are our Top 10 selling Food Blenders items. With 210g thick big jar, which can ensure the Electric Food Blenders more durable. Besides, PC unbreakable jar optional as well. What's more, these Push Button Food Blenders have 2 or 3 speeds which can be chosen. Also, we can provide 3 in i with chopper to meet your need. There are many options for this Baby Food Blender YX-777, we just want to try our best to satisfty your requirement. And the price is really attractive. Welcome to send us inquiry with your personal demand. Looking for ideal 350W Food Blender with Grinder Manufacturer & supplier ? We have a wide selection at great prices to help you get creative. All the PC Plastic Jar Food Blender are quality guaranteed. We are China Origin Factory of Plastic Food Blender with Grinder. If you have any question, please feel free to contact us.